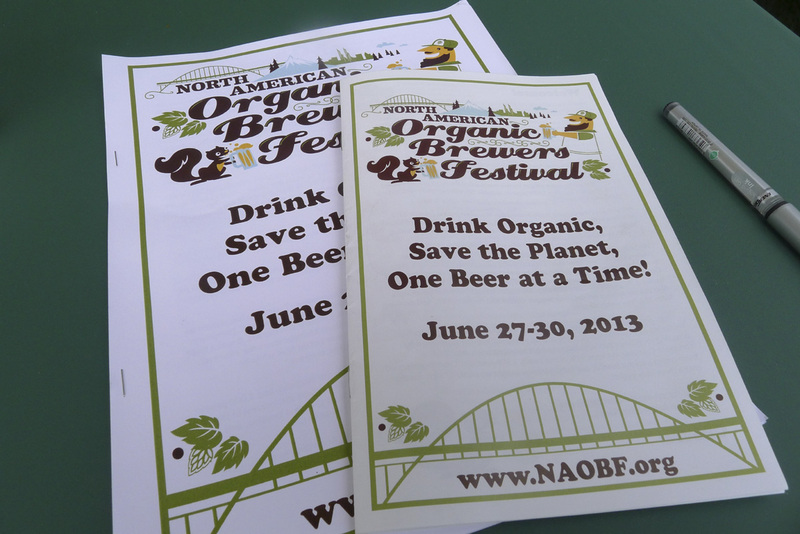 The North American Organic Brewers Festival is underway in Overlook Park. It's the first large venue event of the summer. I spent a few hours there yesterday in ambivalent weather. The weekend forecast calls for heat and I suspect it's going to get crazy. In a good way. There wasn't much of a crowd on Thursday. I suspect two reasons: First, this is the first time they've opened on Thursday. A lot of people didn't get the memo. Give it a year. Second, people looked at the weather report and planned to attend when the sun is fully out...which starts today. As was the case last year, these guys had some warm beer issues at the start. The first few beers I tasted were warmer than they should have been. Pretty soon, a cartload of ice showed up and solved that problem. I have no idea why it happened again. As far as the beer I mentioned when I previewed this event, they were mostly quite good. 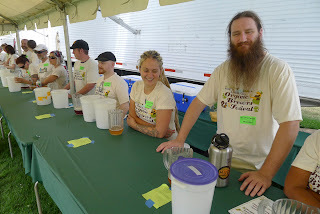 I didn't taste every single beer they were serving (a good thing), but I probably tasted at least half of them thanks to a buddy who showed up and shared tastes. The pick of the litter so far as I'm concerned is the Ambacht G++ Ale. Aged in whisky barrels previously used by Hair of the Dog for Cherry Adam, G++ is a near-perfect balance of competing flavors and aromas. The double-token price is well worth it. I paid it several times. With hot weather imminent, I suspect Hopworks' Totally Radler is going to be wildly popular on the weekend. It's a succulent blend of HUB Organic Lager and natural lemonade. Very refreshing. This beer was a late entry, replacing something that dropped out, and is not in the program. Just look for the line. Two Kilts Highway to Helles is another beer that works well. A soft sweetness in the backbone is balanced nicely with hop character and aroma, just as advertised. Highly drinkable. I also liked Fort George's Forbidden Wonder Fruit Ale. One of the nice things about the NAOBF is the layout. The beer is situated at the east end of the park and covered seating is located near the middle. Thus, beer lines don't overflow into the sitting area, as is the case at the Oregon Brewers Festival. I realize this is largely a function of Overlook Park's shape. Waterfront Park is far more narrow. As noted in my initial post, the NAOBF runs through the weekend, opening at noon each day. Take public transit or ride your bike...parking is extremely limited in this area. 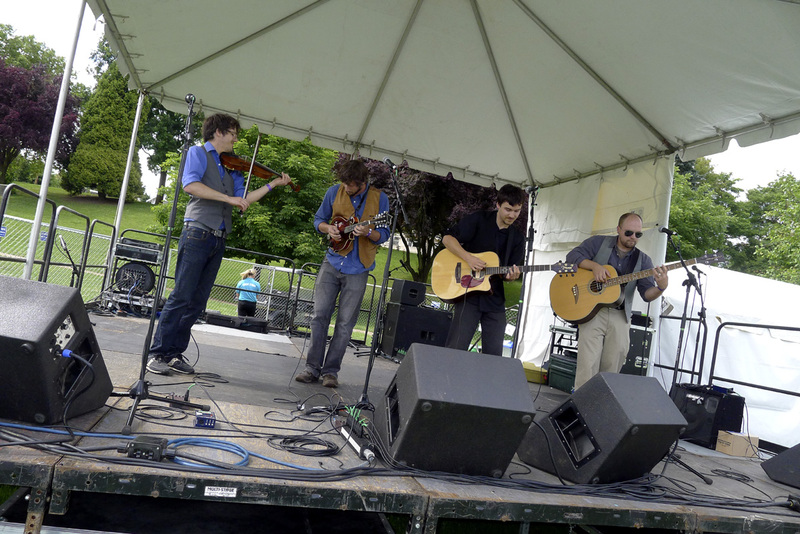 They've got ongoing entertainment and a nice food line-up to go with the beer. Let the good times roll. 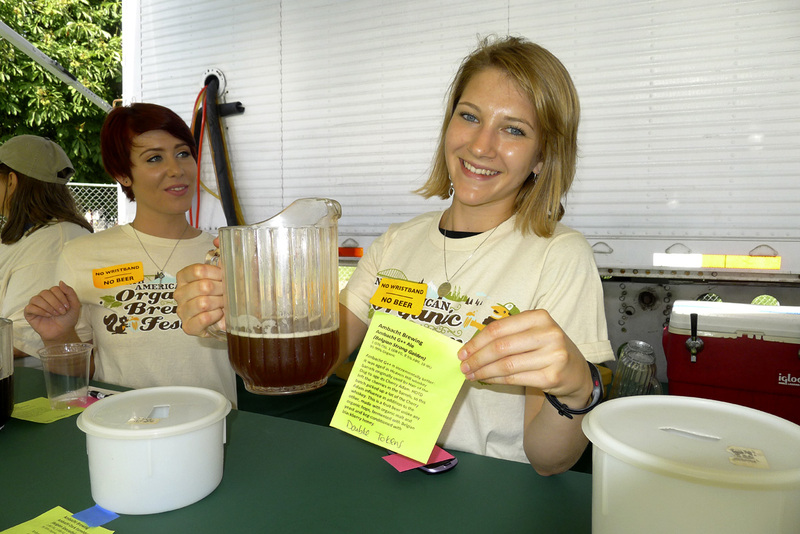 Get Ready for Organic Beer!